Grand Bahama wedding planners, Chic Bahamas Weddings, are so excited! 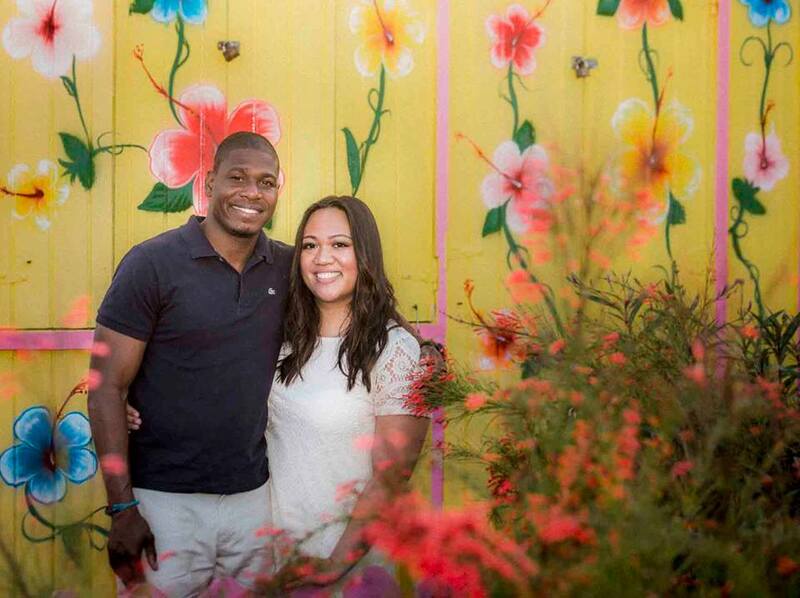 Catherine and Rashad are being hitched today – 05/23/2015! We’re thrilled to have the honour of working with Catherine and Rashad as we stage their Bahamas wedding at the exotic Garden of the Groves, Grand Bahama Island. This New Jersey couple will exchange their vows this afternoon before family and friends in the intimate St. Francis Chapel, Garden of the Groves. A replica of the first church on Grand Bahama Island, this sweet little venue is a magnificent setting for this afternoon’s event. Guests of the couple were welcomed at a dinner last evening in Port Lucaya Marketplace. All photos courtesy of Erik Mosvold Photography. Why Should You Get Married In The Bahamas? A Beach Wedding Bahamas Makes a Stunning Backdrop!